Do your salespeople complain about the quality of their leads? When the leads going into Salesforce are garbage, you’re wasting their time. The more time sales waste on bad leads, the worse their opinion of marketing. Stopping junk leads before they’re sent is the first way that Lead Scoring helps sales. Lead Scoring can remove junk leads in ways that go beyond data cleansing and resulting in sales focusing and seeing the quality leads that marketing is producing. Holding back and nurturing leads that are not ready to engage helps sales and marketing. Many leads that are sent to sales will say they are not interested… because they’re not interested now, (in talking to sales). But studies have proven that a very high percentage of these leads come back to purchase. By sending these leads to sales prematurely you not only get them inaccurately disqualified, but you reduce or eliminate marketing’s ability to turn them into good leads. If you tell sales how good (or marginal) a lead is, you can set their expectations accurately. 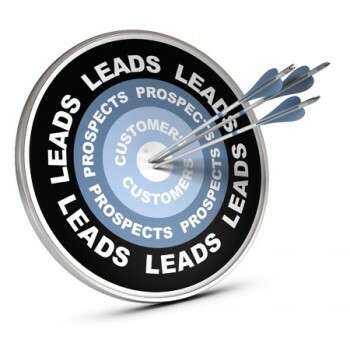 Without Lead Scoring marginal leads sent to sales are disappointments, even though sales want “marginal leads.” But by scoring leads, you communicate to sales, “Here, take this one, but it’s not that good,” resulting in no broken expectations when that lead is called. In addition, you enable sales to focus and even get properly excited by hot leads, resulting in the good opportunities not getting lost in the noise of the marginal. Do you sell B2B? If so, you should seriously consider company-level Lead Scoring. When you’re selling to companies, scoring leads at the contact level (instead of at the company level) may result in lost opportunities due to not evaluating the breadth of activity across an entire company. For example, in the situation where a decision maker or C-level has not yet hit the website, but multiple lower-level decision makers have, company-level Lead Scoring can properly indicate there is a hot lead to pursue! Lead Scoring is a tremendous benefit to an organization’s bottom line. Let 4Thought Marketing help you implement Lead Scoring rapidly and effectively.